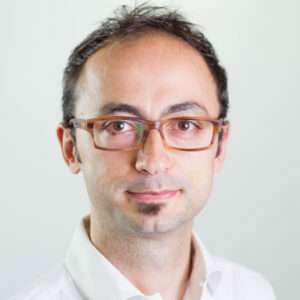 Riccardo Sapienza is a Reader in the field of complex photonics in the Experimental Solid State Physics group in the Department of Physics at Imperial College London. He received his Ph.D. in 2005 joint at the École Normale Supérieure, Paris, and the European Laboratory for Nonlinear Spectroscopy, Florence. He was then appointed as Lecturer in the Department of Physics at King’s College London (KCL). Since then his research has covered light transport and optics of complex media, material science of nanostructured photonic materials, and nano-optics of single-molecules and nano-antennas. To date, he has published 40 articles, and 2 patents with over 2000 citations.